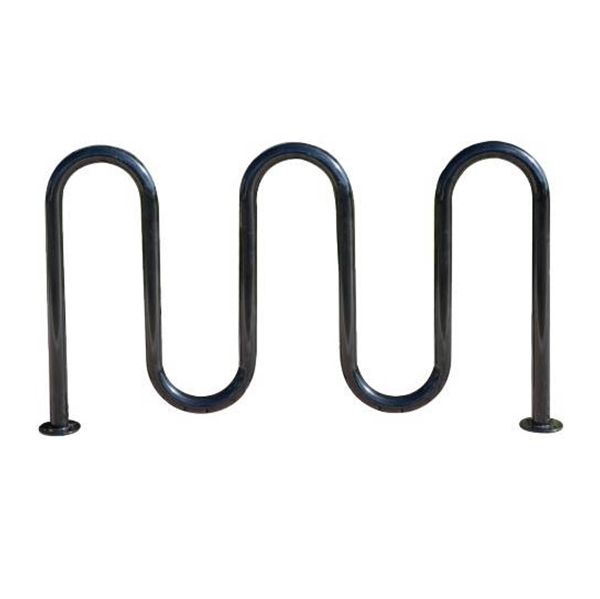 This bicycle parking rack is made of 2 3/8" OD black powder coated galvanized steel and features space for 7 bikes. 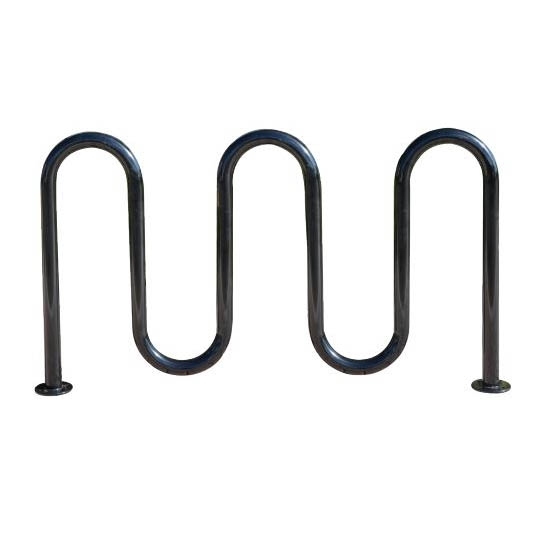 Our wave bike racks are available in either in-ground or surface mounting for resistance to vandalism. Our commercial bike racks provide bicycle parking spaces for commercial parks and office complexes! • Ships Out in 5 business days up to a quantity of 4.